Mechanical Pressure Operated Condensate Pump - Horizontal-1_x1_ Pressure Operated Condensate Pump - Horizontal, 1"x1"
Organized in fourteen offices, AEI is known for leadership, collaboration, and coordination in a collection of affiliated disciplines integrated in comprehensive support of our clients’ goals. We characterize our continuing growth as organic, not an objective but the outcome of successful practice. Just as our project solutions are driven by client vision, our growth reflects the needs of our client base. AEI is an industry leader in project team optimization and project delivery efficiency. Projects are integrated laterally across offices, bringing the best talent to the table for any given project, regardless of location. AEI’s leadership in the development of project delivery technologies allows immediacy in the field while enhancing productivity in the office. The firm’s leadership structure groups respective office leaders regionally, directed by a national Executive Team representing a mix of key leaders from various geographical regions. At this time, the Executive Team members are Geoffrey P. McMahon, PE, LEED AP, Jerrold A. Schuett, PE, and David Odegard, PE, LEED AP. The Executive Team meets regularly to review and align market needs and AEI’s ability to meet these needs. This leadership structure allows a more diverse assessment of market demands and corresponding adjustment in our service offerings. Recognizing the significant impact of our work on society and the global environment, AEI brings a fundamental commitment to ensuring that our work reflects the highest standards in sustainable design practices. By supporting the sustainability-focused career development of our people, we support our clients with ongoing innovation in sustainable design. Install AEI's libraries using the plugin from ofcdesk. Download here. Already have the plug-in? 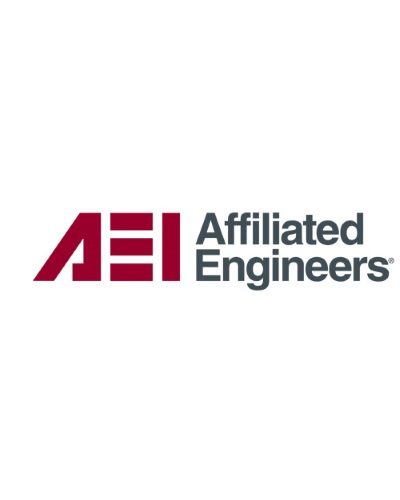 See how easy it is to install AEI's libraries in this video.